Kicks of the Day: Supra Stacks "Black/Red"
Supra utilizes split upper construction on this new colorway release of its Stacks silhouette. The offering showcases a black backdrop, as red lining and a coinciding midsole complement accordingly. 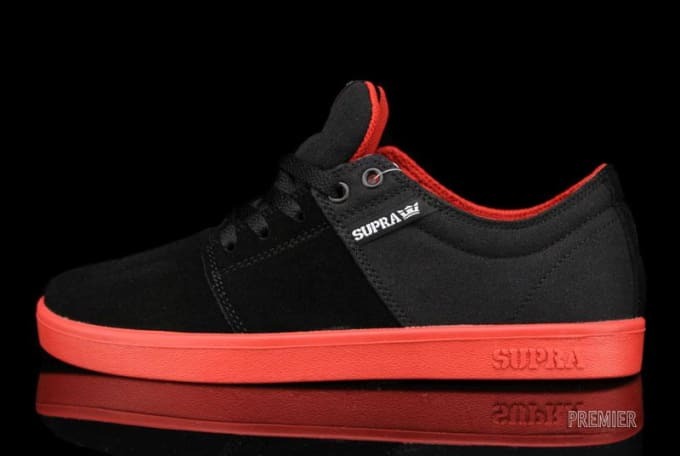 Tonal laces complete the new low-top drop-off, which can be picked up today through Supra stockists like Premier. Retail is $65.